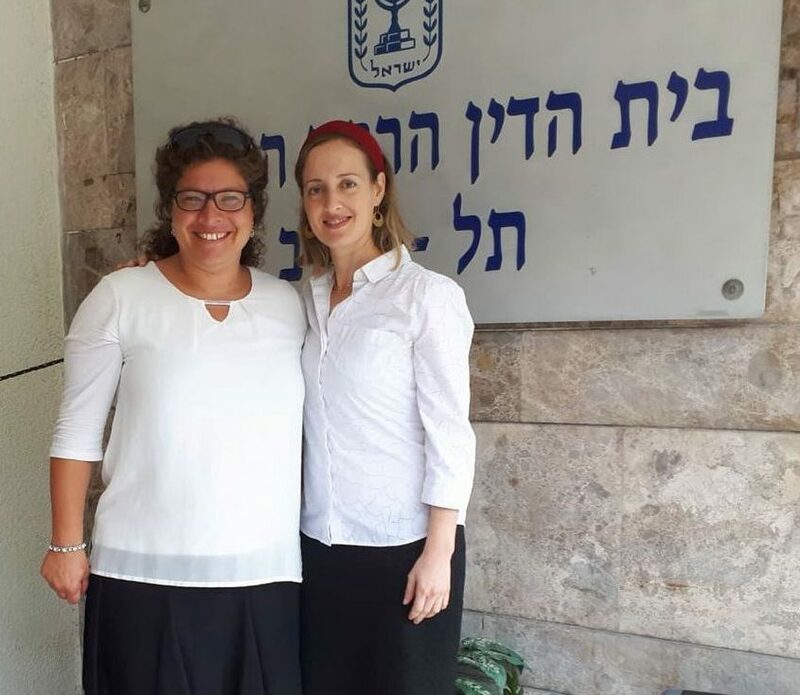 Congratulations to G of Germany, who flew in to Israel last Thursday and received her long-awaited get — thanks to the exceptional efforts of her advocate, Tamar Oderberg of Yad La’isha: The Monica Dennis Goldberg Legal Aid Center and Hotline. G, now 41, married her husband in 2002; the couple had two children and lived together in Frankfurt until their separation three years ago. G’s husband told her bluntly that he had no intention of granting her a religious divorce, effectively preventing her from moving forward with her own life. He, on the other hand, promptly moved in with another woman. G was heartbroken. She very much wanted to be married and dreamed of having additional children. She tried everything to convince her husband to grant her the religious divorce and while her case reached several rabbinical courts in Europe, she feared that she would be tied to him forever. Recently, two different rabbis – one from Germany and one from Italy – turned to Yad La’isha for assistance with G’s case. Each said that if there was any chance of winning G her freedom it would be through Yad La’isha’s expert female advocates. And indeed, when G found out that her Israeli citizen husband was going to be visiting Israel, Yad La’isha’s Advocate Tamar Oderberg made sure that he would be served with a stay-of-exit order preventing him from leaving the country until he granted G her freedom. G’s husband didn’t respond to the stay-of-exit order for several weeks. It was only last Sunday, when he was ready to return home to Germany that he finally appeared in court with a lawyer in an attempt to have the order cancelled. In practice, the rabbinical court was already in summer recess, but because of the nature of the case, the judge on duty called Advocate Oderberg – who had just arrived in northern Israel with her family for a week’s summer holiday. Oderberg organized and submitted all of the relevant materials and briefed her Yad La’isha colleague, Advocate Tehilla Cohen, who appeared in the Tel Aviv rabbinical court next day in her stead. “G’s husband tried to argue against the stay-of-exit,” Oderberg says, “but he understood very quickly that he had no choice. Eventually he broke down and agreed to give her the divorce.” The get ceremony was set for Thursday.